Our single-wall kitchen layout doesn’t give us much room for storage and I am in desperate need of a pantry and a place to hide away bulky appliances. Since the staircase is located pretty much in the center of our kitchen, we don’t have space to add an island or additional cabinetry/cupboards. 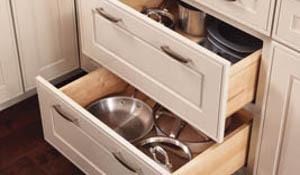 I checked out the Kraft Maid website which has some great storage solutions for a variety of kitchen designs and their resources are very helpful in planning a new project. 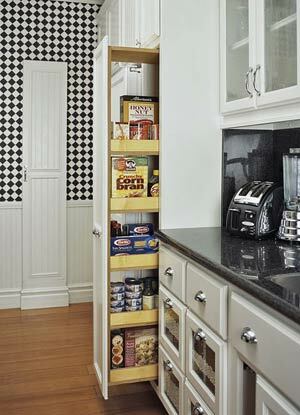 This pantry is like a small closet- the shelving and door racks allow for all kinds of great storage space. 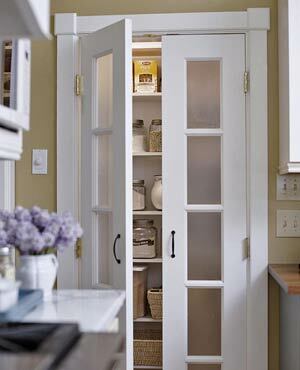 I really like the frosted glass doors in this pantry! I would love to add in a few pieces like this one! 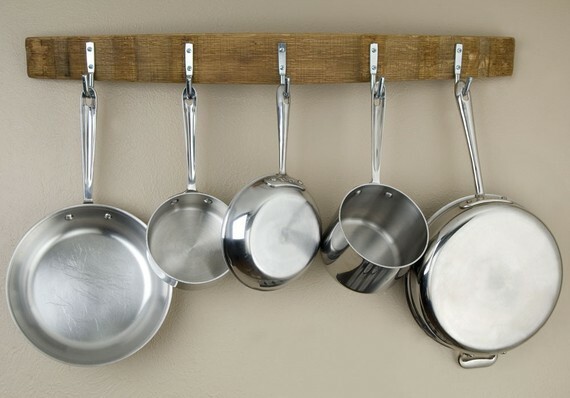 Such a nifty way to hide away lots of kitchen items. 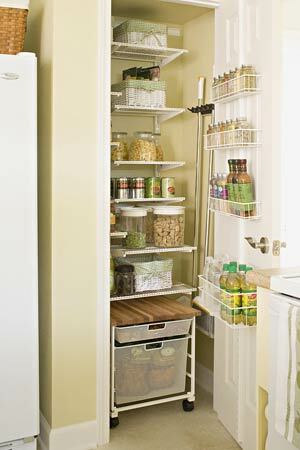 The easy access of the pull-out drawer below would be perfect for storing snacks and other kid friendly items. 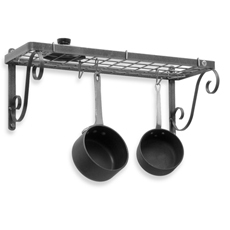 We already have a two-drawer system like the one below and it works great but I need more space…this can only store just few pots and pans. Check out other ideas and inspiration at Ikea! 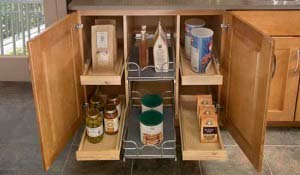 They have some great space saving kitchen cabinetry. 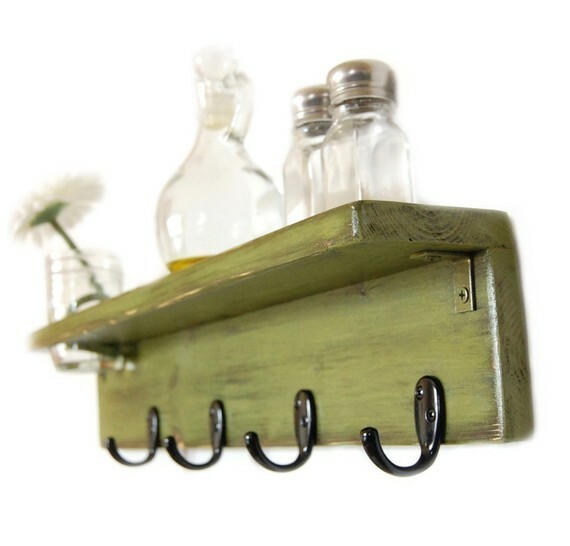 Or, this one found on Etsy for $75.00- it would be easy to add a shelf above it. Looking at this adorable shelf on Etsy! 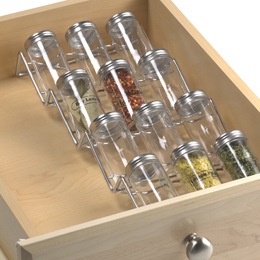 Here’s a great spice rack from The Container Store! my pantry has the sort of same layout as yours but i used a website http://www.howardsstorageworld.co.uk and got everything all at once! Thanks Rachel! What a great website! It actually reminds me a lot of The Containter Store (www.thecontainerstore.com) which is only one of my most favorite websites of all time!! They definitely have a ton of great storage solution ideas! Great help. Hi Tony- I like the frosted glass doors too! They are perfect for hiding away pantry items…I would try your local Lowes or Home Depot stores- they have interior frosted glass doors manufactured with plastic coating on glass panels and “paint and peel” for quick and easy finishing. If you want a more custom look, I would suggest Trustile (www.trustile.com). Hope this helps!